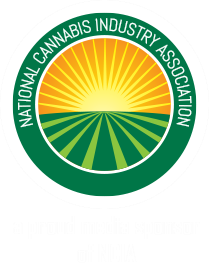 SAN DIEGO – December 28, 2017 /Canna Newswire/ – Cannabis Packaging News (www.cannabiscomplianceandpackaging.com), the cannabis industry’s only publication dedicated to the latest in packaging and compliance, today announced the addition of Dianelle Bresler as its editor. Under Dianelle’s direction, Cannabis Packaging News will keep cannabis entrepreneurs up-to-date with important news and analysis as they navigate through the increasingly complex legal marijuana marketplace. Dianelle, brings a diverse skill set to her role as Cannabis Packaging News editor. Much of her career has focused on audience-building strategies and content creation, MACE Media’s two key selection criteria. In addition to her writing talent, she has managed web, social media and digital content strategies, which will all be key in the growth of the publication. Her background in both advertising and market research will better assure that Cannabis Packaging News delivers the best value for advertisers in conjunction with compelling information for readers. In addition to articles written by its staff, Cannabis Packaging News invites contributed content from innovators and thought leaders in the areas of branding, packaging, printing and safety standards. Experts in these fields are encouraged to pitch their story ideas or send written content to be considered for publication in the online and quarterly print editions of the magazine by submitting them to editor@cannabiscomplianceandpackaging.com. Launched online in the summer of 2017, Cannabis Packaging News covers the legal cannabis industry’s packaging and compliance news and trends. With topics including best practices for packaging flower, safety regulations for edibles, to the use packaging design to strengthen brand recognition, and beyond, Cannabis Packaging News is tackling an underserved yet vital sector of the cannabis market. Visit www.cannabiscomplianceandpackaging.com to read more and subscribe to the publication.